Archaeologists reported on Tuesday that they have found the earliest evidence of Neanderthals living in Britain. Two pieces of flint dating back 110,000 years ago were found at a construction site in Dartford, Kent. Dr. Francis Wendan-Smith, from Southampton University, said the finds push back the presence of Neanderthals in Britain by 40,000 years or more. 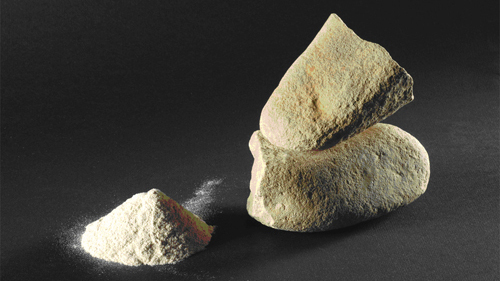 A majority of researchers believe Britain was uninhabited by humans during the time the flint tools date back too. An absence of archaeological evidence suggests people abandoned this land between 200,000 years ago and 65,000 years ago. However, one researcher said the evidence presented so far did not convince him. Dr. Mark White from Durham University told BBC News he would like to assess the findings in detail before considering whether they posed a challenge to the majority view that humans were absent from Britain at this time. The excavation that uncovered the flint hand tool and waste flake was funded by the U.K.’s Highways Agency. Wenban-Smith and colleagues from Oxford Archaeology have dated the sediments back 110,00 years, placing them within the “abandonment period.” The discovery comes from a time when sea levels were dropping after a period when they were high enough to make the English Channel impassable. “We know that Neanderthals inhabited Northern France at this time, but this new evidence suggests that as soon as sea levels dropped, and a ‘land bridge’ appeared across the English Channel, they made the journey by foot to Kent,” Wenban-Smith told BBC. The dearth of evidence for human occupation in Britain between 200,000 and 65,000 years ago has perplexed the archaeologists. The English Channel would have posed a physical barrier to humans trying to cross the continent. However, sea levels fluctuated during this period. There were other times when hunters could walk from France to southern England. About 130,000 years ago sea levels rose and Neanderthals would have been blocked from entering Britain by the English Channel. However, about 115,000 years ago sea levels fell again. Wenban-Smith and his team said the flint tools from Dartford suggest that humans were able to take advantage of this opportunity. The discovery was dated back by using a method known as optically stimulated luminescence (OSL). This exploits the presence of radioactive isotopes in the natural environment. Naturally occurring minerals like quartz and feldspars record the amount of radiation to which they have been exposed. Some minerals store a proportion of energy radiation delivered and then release it at a later date in the form of light. The amount of light released by these minerals can be used to calculate the radiation dose a sample has received, helping to give an estimation of time that has elapsed since it was buried. White raised doubts over the reliability of OSL dating though, saying the technique was more or less “in constant development.” He added that assumptions about background radiation and average water content could significantly affect results. Neanderthals split from our evolutionary line about 500,000 years ago. A short, muscular physique, a barrel chest, large brain and prominent facial features characterized them. 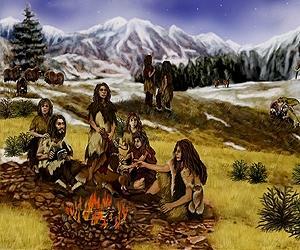 Wenban-Smith along with other researchers say that the “classic” Neanderthal features appeared about 200,000 years ago. However, other scientists describe much older fossils as Neanderthals. These include the 400,000-year-old partial skull found in Kent and the 230,000-year-old human teeth discovered at Pontnewydd in Wales. Hornorkesteret comment: I wonder why the Oxford archeologists placed a tiny white, red-eyed rabbit in the foreground of the accompanying picture?